Swoquix is a clean & elegant blogging HTML5 theme based on Bootstrap 3. Package include 8 HTML5 pages, so you can customize theme. Swoquix have clean and structured code. 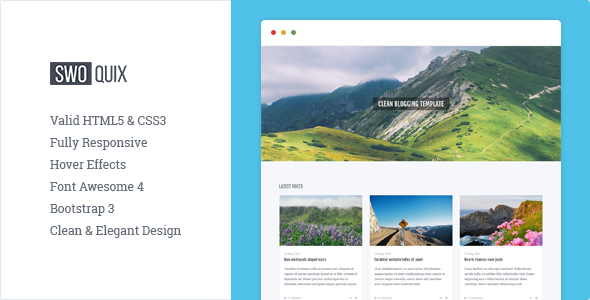 Item Reviewed: Clean and Responsive Blogging Theme 9 out of 10 based on 10 ratings. 9 user reviews.